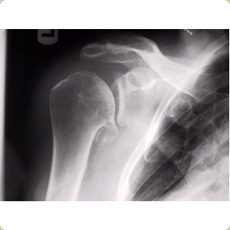 Longstanding instability of the shoulder and conditions that lead to loss of blood supply of the ball of the shoulder joint (avascular necrosis) can result in secondary degenerate changes in the glenohumeral joint resulting in arthritis. 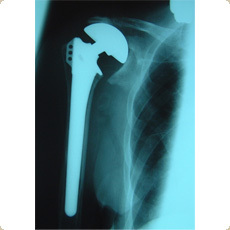 A shoulder resurfacing procedure is a type of shoulder replacement but this is a relatively bone-preserving operation in which the humeral head is smoothed and then is covered with a metal cap. 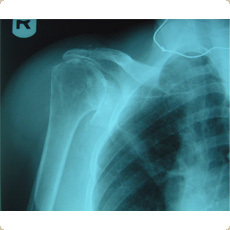 Shoulder replacement surgery requires in-patient stay of up to 5 days. Following surgery an intensive rehabilitation programme is required with the help of the physiotherapists. The patient is required to use a sling for up to two weeks, which is then weaned off over the course of the next 2-4 weeks. 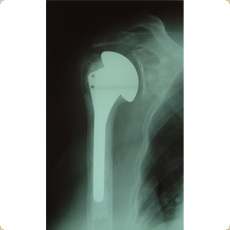 The patient is allowed to carry out light manual activities approximately 2-4 weeks after surgery. Driving is generally possible at around the 6 week point. Heavy lifting however is not recommended up to 3 months. 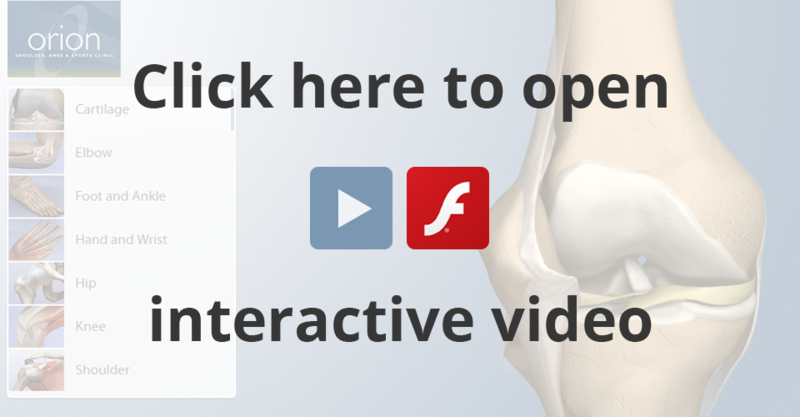 The main indication for surgery in individuals with osteoarthritis is pain relief and the overall success is about 85-90%. 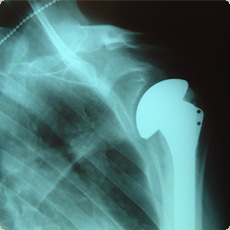 Generally the range of shoulder motion improves following shoulder replacement surgery but there is always a limitation in terms of the range of shoulder motion achieved. Functional improvement continues up to 18-24 months following surgery.